I have uploaded all our newsletters to our web server. These newsletters are searchable using the search box on the linked page. If results are found, a link to the relevant newsletter will be in the search results. You may also browse and/or download all newsletters via this page. Please visit our archive page by clicking here. You can read about the history of the GFA on this page. Due to issues beyond our control, the GFA is no longer accepting money for memberships, either new or renewals. If you are a current member, rest assured you will remain so. We are not certain of the future of this association and as a result, we are not comfortable accepting dues for membership at this time. If you would like to be added to our newsletter e-mail list please contact Steve Goodrich. been found in the personal effects of Dr. Joyce Goodrich by her brother Peter. shipping to all U.S. addresses. Please send an e-mail to Peter Goodrich for ordering information. These books include the high quality photographs and graphics as in the original printing of the book. You can get a digital copy of the Case book from Google Books. Once you are on that site, just search for Goodrich Family. This book should be the first one listed in the search results. We hope that you find the information on this site useful. The information contained here is basically the L.W. Case book in a digital tree format; with all its mistakes and errors. At one time there was a plan to create a member only web site with corrections that the association could prove. That never materialized and will not in the foreseeable future. Basically this is being left here as a web based copy of the Case book to whoever wishes to use it. Please keep that in mind as you look at the data. The Forum has been taken down.This is due to the fact the forum saw very little traffic over the past two or three years. However, it was a prime target of spammers who were posting links to nefarious sites.I apologize for any inconvenience this causes. The entire Case book is complete! After many hours of data entry, I am pleased to announce that I have finally finished entering all the data from the Case book on all lines. There are a few families still missing however. The reason for this is those particular families are wrong in the book and I want to do some research before deciding how to handle them. A couple of them are my direct line so I know that the information in the book is in error. This public site is pretty much completed. At this time we have taken all the data from "The Goodrich Family in America, A Genealogy of the Descendants of John and William Goodrich of Wethersfield, Conn., Richard Goodrich of Guilford, Conn., and William Goodridge of Watertown, Mass." by L.W. Case (Editor) and input it into our TMG database. I do not anticipate any further changes to this portion of our web site except to add notes as described above once the member site is available. As already mentioned, in the future we will be adding another section to this web site that will be for GFA members only. Into that member only database/section I will be adding the data compiled by many other people; most notably George W. Farrell, who along with his wife Ginny, did extensive research on the lines of John and William of Wethersfield and other Goodrich lines as well. 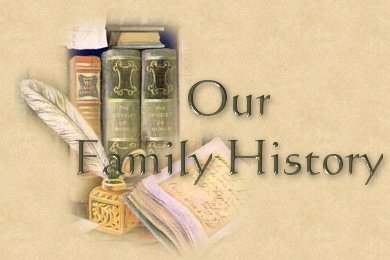 As Delores and I do further research on the family it will be added to the member only section as well. Using this site: Under most names in the data section you will see a reference number. For example: Reference = LWC17. This is the number of that person in the Case book, in this instance Col. David Goodrich. If there is an S after the number (in brackets) that denotes a spouse of that person. S2 denotes a second spouse and so on. So Col. David's second wife Prudence Churchill has a reference number of LWC[S2]. Please use these numbers when sending us inquiries. The Case book contains three distinct lineages plus a miscellaneous section. The data on John and Ensign William of Wethersfield, the first and main line of the book, begins with their Grandfather William Gooderich who was born circa 1545 and his place of birth was probably Suffolk County, England. The second line from the Case book is the line of Richard Goodrich of Guilford, Connecticut. Richard is said to have been an original settler of Guilford and in that area as early as 1639. The third line from the Case book is the line of William Goodridge of Watertown, Massachusetts. 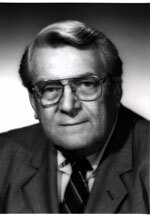 Please note that earlier generations of the line kept the spelling of the name as Goodridge; some later generations changed the spelling to Goodrich. In the Case book the compiler used the Goodrich spelling exclusively from the fifth generation onward. There are no known connections between these three lines. Like all genealogies, invariably there are errors and omissions. Some records may seem questionable or contradictory. In the L.W. Case book for example there are mistakes, some are obvious and others are not. I have tried to point these out as they occur, but I may have missed some along the way. In fact I think I can safely say that I am positive I missed some.We welcome documented additions and corrections. If you do have information and/or corrections to share (including sources), please post them to our forum, (in the Corrections to Case book sub forum) and be sure to include the LWC number for the persons you are posting about. Database Copyright © 2006 - 2010 The Goodrich Family Association. The information in these Goodrich files was compiled by many persons through the years. While every effort has been made to check for accuracy, you should verify any information against available records.